UA Theatre and Dance offers a Bachelor of Arts (BA) in Dance. Recently ranked 15th in the nation among private and public universities, the UA dance program offers a degree track that is designed to educate the student as a generalist in dance studies. Students follow a course of study essential to the field of dance, including performance, ballet, contemporary, jazz, dance history, dance composition, dance for the camera, pedagogy, lighting design and sound and anatomy. BA candidates also enjoy the flexibility to pursue other areas of study, including a minor or an additional major in a field of study other than dance. A formal audition is required for admission into the Dance program. Please note the application deadlines listed for each audition date. Please submit your application to The University of Alabama as soon as possible. 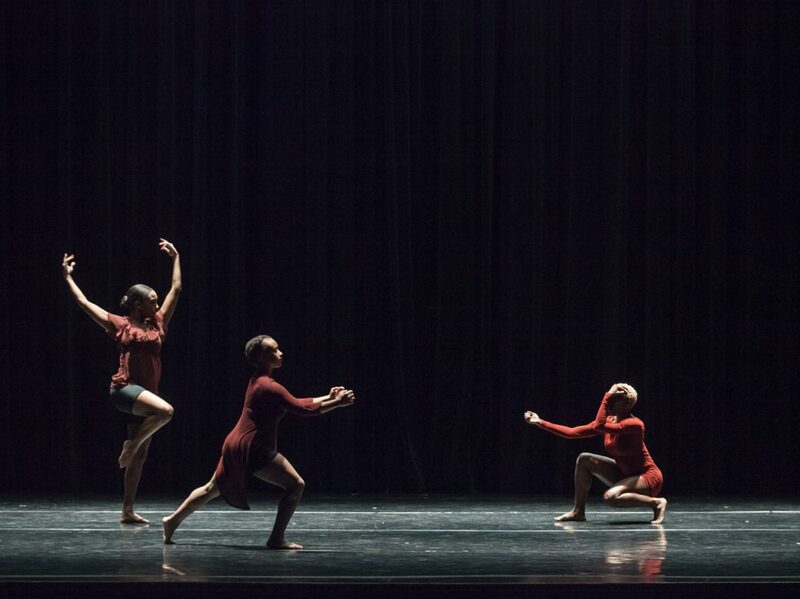 Both acceptance by the University and acceptance by the Dance program through the audition process are required before becoming an UA Dance Major. For more information on the audition process, please contact Nancy Calvert at ncalvert@ua.edu or 205.348.5283. If you would like a facilities tour with a current dance student, please fill out the form below! Dance students at the University of Alabama have abundant opportunities to perform and choreograph during the academic year, including the Alabama Repertory Dance Theatre (ARDT), Dance Collection. Dance Alabama, dance film productions, musical theatre productions, community performances, Edinburgh Festival Fringe, Alabama Dance Festival and American College Dance Association. American Ballet Theatre Summer Dance Intensive UA Theatre & Dance hosts one of the American Ballet Theatre’s Summer Intensive workshops. ABT selected The University of Alabama to host the first Summer Ballet Intensive outside of New York City in 1997. In that first year, 189 of America’s most talented dancers who represented 30 states, Bermuda and Puerto Rico attended. Visit the ABT page for more information about the ABT Summer Intensive. Like all liberal arts majors, Dance majors develop skills that are applicable to a wide variety of careers. UA Dance alumni have ascertained work as professional dancers, artistic directors, choreographers, instructors, dance therapists, arts administrators, arts managers, production managers, lighting/costume designers for various professional dance companies such as the Radio City Rockettes, Cleo Parker Robinson Dance Ensemble, Dayton Contemporary Dance Company, Philadanco, Gus Giordano Dance, Alabama Ballet, Complexions, Atlanta Ballet, STREB Dance Company, Jeanne Ruddy Dance, Disney Productions and national/international Broadway tours and cruise lines. They also attend top graduate schools and manage their own private studios. If you are interested in a campus visit to learn more about the dance program, please fill out the information in the form below and one of our Dance Ambassadors will be in touch with you to schedule a tour. Please list the date(s) you are available to tour and several times that would work for each day listed. Tours are approximately 30 minutes. Please note there are no Dance classes during the summer (May 1 – August 21) and less availability for tours as most of our faculty and students are away during this time. For a better picture of our program, we highly suggest tours during the regular academic year.